The concrete fighter plane has lost the fight as the children now play on the padded climbing frames across the harbour. 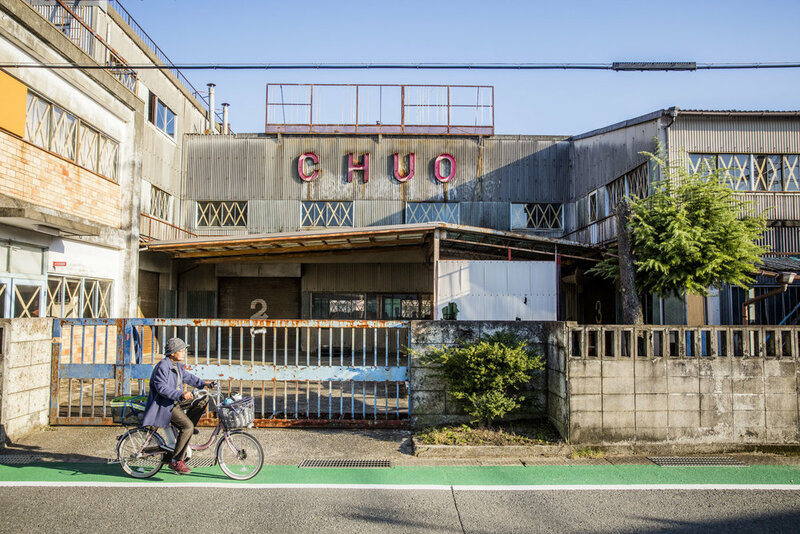 The warehouses have become the colour of a soy sauce stain, ironically, as this is where soy sauce was invented.….. and the Chuo factory is closed….although no one seems to know what used to be made there. I don’t think Cosmo sells diesel anymore. The train from Osaka stops less often, but the sushi rice still grows nicely beside the tracks.